Industrial model designed for rocks! UV-18 dimensions - 11 1/2" diameter x 14 1/2" tall. This is the industrial version of Thumler's UV-18 vibratory tumbler that is designed for tumble polishing rocks or finishing metal parts. It has a heavier duty motor, springs and bowl than the light duty version designed for cleaning brass and jewelry. That is why it costs significantly more than the light duty version supplied with a yellow striped bowl. A vibratory tumbler is a much faster and more economical way to polish stones when compared to a rotary tumbler. Thumler's UV-18 tumbler can process more material than a Model B rotary tumbler in about half the time while using significantly less grit. A large grit savings comes from not using coarse grit. 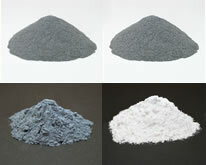 The first step in vibratory tumbling is medium grit. You then go to fine grit and finish up in polish. This tumbler will also work great for polishing brass cartridge cases. It can clean and polish between 200 and 700 cases, depending on their caliber. Polishing brass requires the use of corncob or walnut shell media. We have a UV vibratory tumbler guide with information to help you get the most out of your UV-18 tumbler. The guide includes information for loading the barrel properly, how much grit to use and best practices for maintaining the machine and its components. We prefer our finished stones to be more rounded than what a vibratory tumbler produces. So we will run our stones in a Thumler's Model B rotary tumbler using coarse grit to get the nice rounded shape we desire. Then we take advantage of the time and grit savings that you get with a vibratory tumbler. Before we start with the next step we add ceramic media to the bowl to bring it up to recommended capacity. We then run medium grit for two days, fine grit for one or two days and polish for two days in our UV-18 vibratory tumbler.